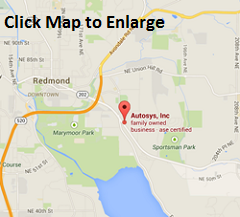 At Autosys, inc. of Redmond Washington, we are here to exceed your expectations with a full line of auto repair services for all your vehicle car and truck repair service needs! We provide the highest quality auto repair service for all vehicles, both foreign and domestic. To keep your vehicle running properly at all times, we offer a number of auto repair services. Our automotive repair services are carried out by our ASE Certified Service, Washington Certified Emissions Repair Shop Technicians who have years of experience performing everything from oil changes and brake service to a complete engine overhaul on all import and domestic car, vans, trucks SUV’s and fleet vehicles. No. An independent mechanic can do routine maintenance and repairs on your new vehicle. In fact, the Magnuson-Moss Warranty Act,which is enforced by the FTC, makes it illegal for manufactures or dealers to claim that your warranty is void or to deny coverage under your warranty simply because someone other than the dealer did the work. No. An ‘aftermarket’ part is a part made by a company other than the vehicle manufacturer or the original equipment manufacturer. A ‘recycled’ part is a part that was made for and installed in a new vehicle by the manufacturer or the original equipment manufacturer, and later removed from the vehicle and made available for resale or reuse. Simply using an aftermarket or recycled part does not void your warranty. If you have a Google+ Acct.